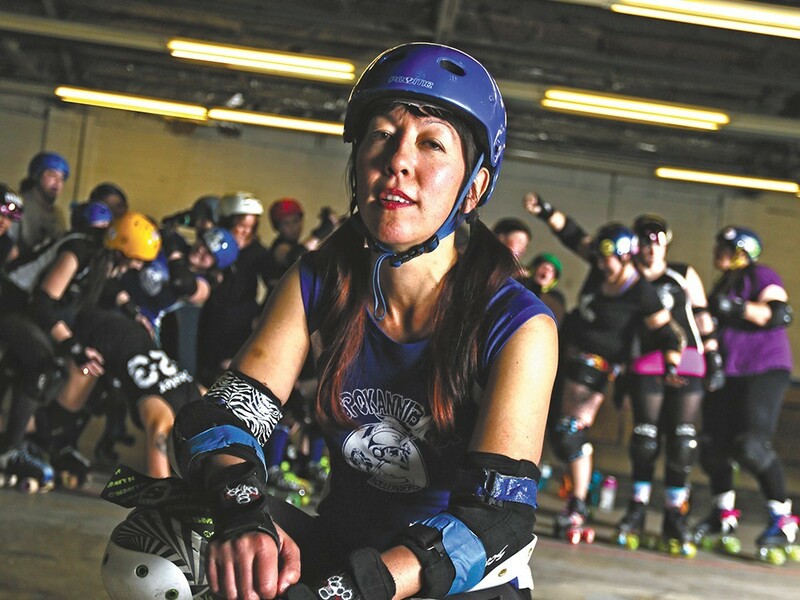 The Spokannibals are part of Saturday's Roller Derby Triple Header. As we fly toward the end of February, and the month holds on for dear life by adding an extra day this leap year, you can head into March with a bang, not a whimper. Check out our event listings and Staff Picks for some options for your entertainment dollar. FILM | Whitworth University hosts the 8th Annual Leonard A. Oakland Film Festival, featuring an evening of faith and film that includes screenings, discussions with alumni filmmakers and more. The festival runs for three days, so hit the event website for more info on the day-to-day schedule. WORDS | Learn all about Gonzaga's Jundt Art Museum's history and get a preview of upcoming exhibits at a lecture by director and curator Paul Manoguerra as part of the museum's 20th anniversary celebration. LIVE MUSIC | The Bartlett kicks off a new monthly hoedown called Northwest of Nashville, hosted by local musician Jenny Anne Mannan and featuring a rotating cast of acoustic-based musicians on the microphone. The first edition includes Gregory Spaatz and Caridwen Irvine-Spatz, Kevin Brown and Prairie War. Read our story about the development of the series before you go. COMEDY | Midweek laughs are always a bonus, and GI:S:T, aka GREAT IDEAS: Spokane: Today!, brings them big-time to the Big Dipper with an ensemble offering a litany of slides as part of a healthy skewering of local culture. Among the comedians involved are Matt Dargen, Tony Russell, Matt Slater, Mara Baldwin, Phil Lindsey, Annica Eagle, Phil Kopczynki and David Honeycutt. THEATER | Stage Left Theater debuts a new production of Wittenberg, a cocktail of brainy allusions, absurdist plot twists, sly wordplay and disarming anachronisms, fortified with serious ideas. Should be funny and thought-provoking. SPORTS & OUTDOORS | The Biking Betties host a kickoff party at Perry Street Brewing to discuss its upcoming group rides, welcome new members and enjoy a beer or two. FILM/COMMUNITY | The Fired Up Film Festival features local teens taking their talents to the big screen. Spark hosts the festival Friday at 6 pm. BENEFIT | The Wishing Star Foundation gives sick children some dream experiences, and you can help by attending the group's 10th annual Taste Spokane fundraiser and enjoying some amazing food and drink in the process. THEATER | The Modern Theater's Spokane branch presents Last of the Boys, an on-stage dissection of the affects of war. SPORTS & OUTDOORS | It's a Roller Derby Triple Header at the Roller Valley Skate Park. Make a day of the rock 'em-sock 'em action. SPORTS & OUTDOORS | The Spokane Empire host their home opener against Wichita Falls, the first game in the Spokane arena football team's new league and with its new name. Read our story about the team's new mascot here.